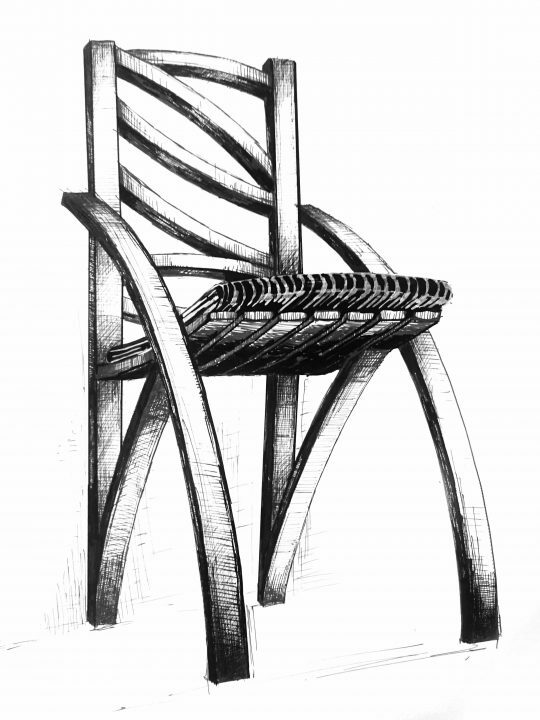 The chair made of barrel elements. The seat upholstered. The chair structure exposes curvatures of barrel staves.